Launching at a 20 percent week-long discount. Dark Rose Valkyrie, which previously launched for PlayStation 4, will come to PC via Steam on April 10, publisher Idea Factory International announced. The PC version will feature English, Japanese, and traditional Chinese subtitles, and launch at a 20 percent discount for the first week. Users who purchase the “Complete Deluxe Set,” which includes the game, all downloadable content, and the “Deluxe Pack,” can save more with a permanent 10 percent discount. The Deluxe Pack includes a character art collection, rough art collection, five PC wallpapers, and four mobile wallpapers. 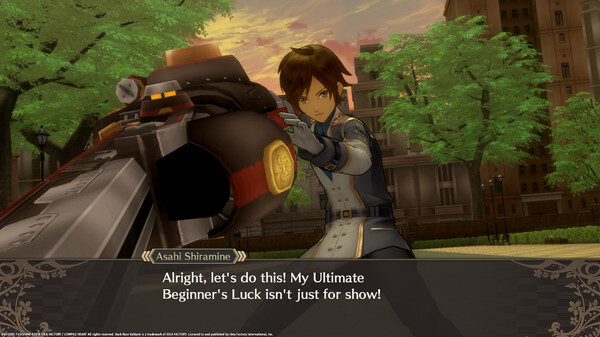 The RPG features the talents of Tales of series scenario writer Takumi Miyajima and Tales of series character designer Kosuke Fujishima. It puts players in the role of the leader of an elite military force known as ACID (Anti-Chimera Interception Division) to stand between humanity and those transformed by a mysterious virus. Players will fight using customized weapons, team attacks, a powerful Overdrive mode, and more. You’ll also need to regularly interrogate your teammates to find out who has been affected by the virus. n the year 1929, a massive outbreak occurred, transforming normal people into inhuman creatures known as Chimera. The cause: a mysterious virus carried over by a meteorite known as the Black Garnet, which had crashed into earth long ago. At its inception, the Chimera Virus wiped out 3% of the world’s entire population. To stave off the pandemic, Japan closed its nation to the rest of the world and formed a covert military agency known as ACID (Anti-Chimera Interception Division) to combat the remaining Chimera in the country. Over time, ACID established within itself a special unit known as Special Force Valkyrie. You must lead this force and eradicate the Chimera that remain to this day! Take the fight into Overdrive! Characters can transform into their stronger split personalities mid-battle, but be strategic – too many transformations will lead to Fatigue! Customize Combos! Customize attacks for each character, and do more damage with Riot Combos! A Traitor Amongst You: Depending on your choices, one team member will betray you. Find the traitor in visual-novel style interrogation sequences, and change the game’s ending!